Steve Price draws gasps from Q&A audience over DV comments. Steve Price's domestic violence comments shocked the nation last night. Controversial radio and television personality Steve Price left the Q&A audience in shock on Monday night after saying Eddie McGuire’s recent comments about drowning Caroline Wilson were “a joke” and telling fellow panelist Van Badham that she was “just being hysterical”. Appearing on this week’s edition of the often-controversial ABC show, the slow motion train wreck began when audience member Tarang Chawla raised the recent comments of Sam Newman and Eddie McGuire and shared that his 23-year-old sister Nikita was stabbed to death by her partner last year. Chawla then asked the panel what the government and the media was doing to stop the epidemic levels of domestic violence against women in Australia. Q&A questioner Tarang Chawla. Source: ABC. Being invited to respond first by host Tony Jones, Price began, "I happen to know all of the people you&apos;ve mentioned there; Sam, Eddie and Caroline Wilson very well. And, Eddie apologised immediately." Outside of Price (and perhaps Newman), there&apos;d be few who would agree that McGuire&apos;s apology was immediate. Making his comments on 12 June, McGuire did not offer a full and unreserved apology until 21 June - a full nine days after his comments. Steve Price on Q&A. Source: ABC. Continuing, Price then said, "If you listen to that broadcast in context it was a bunch of blokes laughing about things they shouldn&apos;t have laughed about. When it was brought to their attention they&apos;d said those things, all of them apologised," he continued before adding, "I think far too much was then made of it." The Guardian columnist Van Badham was then invited to respond, who began by acknowledging Chawla&apos;s story was far too common in Australia and began unpacking the problem with Price&apos;s justification over the incident. Columnist Van Badham on Q&A. Source: ABC. Q&A Steve Price and Van Badham. Source: ABC. Trying to continue with her response, Price continued to interrupt and speak over Badham multiple times. "Steve, do you know what you&apos;re doing? Do you have any understanding what you&apos;re doing? 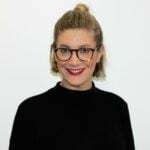 This man has given us an extremely upsetting story about something that&apos;s happened and you are defending yourself in a context where we have to have a conversation about cultural attitudes that treat women differently," a clearly frustrated Badham said. "Just because you&apos;re a woman you&apos;re not the only person who can get upset about this," Price replied. Chawla&apos;s response to Price&apos;s comments. Source: ABC. "You&apos;re proving my point very excellently about the attitudes that create these kinds of problems," Badham continued. Looking irate, Badham responded, "It&apos;s probably my ovaries making me do it, Steve." Sensing the conversation head into scrag fight territory, Jones then moved the question onto Tanya Plibersek for response. So while Price was afforded the opportunity to speak freely and uninterrupted, he refused to provide the same opportunity to the woman sitting next to him. But #notallmen, right Steve Price?